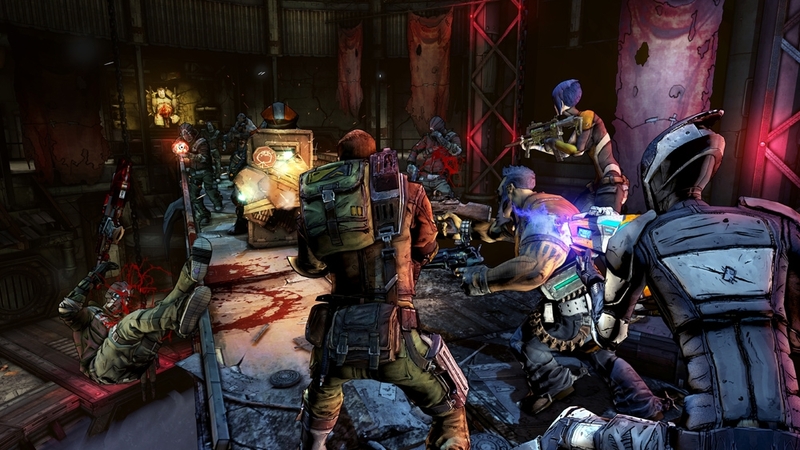 Borderlands was a game that was full of action, co-op play, loot collecting, and tons of guns. While the game had its share of shortcomings in a few areas, it was still one my favorite games of 2009. From the appealing visuals, colorful cast of characters, and quality of the downloadable content, there was so much to love about the game. We're now about two weeks into the release of the sequel, which maintains all of the positives about the first game while fixing the negative aspects of the title. 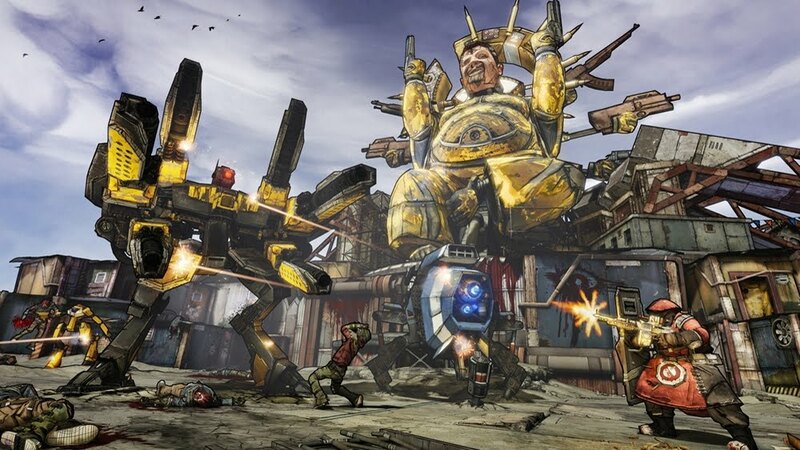 Borderlands 2 is a game that you have to play and if you can, bring three friends along for the ride. Something that was missing in the original Borderlands was a clear antagonist that helps moves you forward and challenge your journey. While there was an end goal given by the mysterious angel to find the vault, there was no one there to really challenge the hunters in a big showdown to find the treasured vault. Borderlands 2 fixed that with the introduction of Handsome Jack. This new threat is humorous, charming, and a pain to deal with, making it easier for players to keep on the main story arc and see how things come together in the end. Aside from searching for the vault, you'll definitely want to get your hands on this guy and anyone who he employs to try and stop you. The main story length in the game will last about 20 hours, but the many side-quests and upcoming DLC will keep you wanting to play much, much longer than that. The amount of content in this game is very impressive, and the currently announced four DLC packs will further extend this huge game. The writing in this game is great and was the creation of Anthony Burch, writer and co-star of 'Hey Ash Whatcha Playin'. 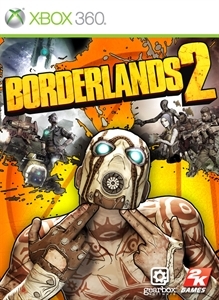 His humor and flow really shine with the characters of Borderlands 2, and it really makes the title stand by itself in comparison with the original game. While I miss playing as the original cast of vault hunters, the new characters are all just as intriguing to play. My current favorite is Zer0 the Assassin, who has skills similar to Mordecai from the first game, although he can create a decoy and use his sword to perform melee attacks. 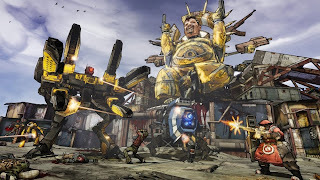 The first announced character for the game was Salvador, a character with the ability to wield any two weapons at once is known as the Gunzerker, and serves a main comparison to Brick, then there's the user friendly Commando named Axton who can use a turret to stop enemies like Roland, and last but not least is the new Siren Maya taking the place of Lilith. A new character named Gaige will be coming, and she will have the ability to use robots as a Mechromancer. 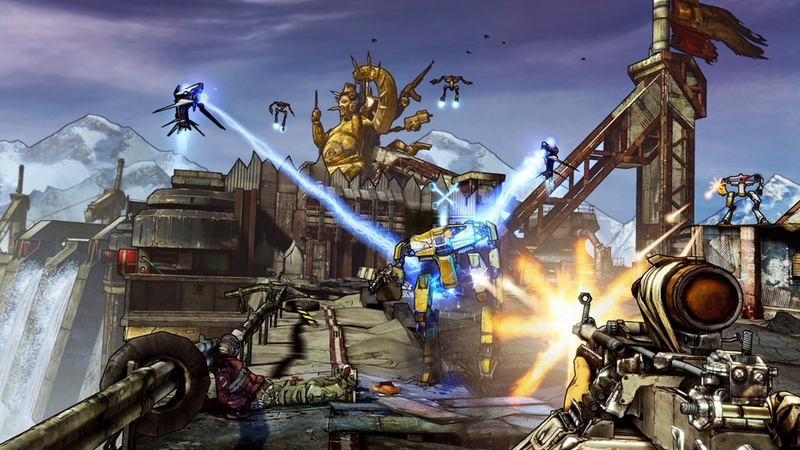 The gun count of Borderlands 2 has been increased from the original game. Most guns have many different attributes based on the manufacturer, who add distinctive features to their guns, with one company making their weapons explode after reloading. There are also tons of unique weapons that have special marks, including talking weapons and weapons based on other games and characters. When playing or wanting to start a game in co-op, you're able to see what level friends and players are, which helps determine your compatibility. If their current level is too high or too low, the game will usually tell you that joining will be difficult based on your character's level, or simply too easy if you join someone much lower than your character. Gearbox has improved on connectivity and NAT issues don't seem to hinder my game searches anymore. Whether you choose to play online or locally, you'll have a blast with co-op. You can even play a mix of both, with two players on one console able to play with others online. Even if you decide to play as the same character in co-op, the new customization options allow you to further differentiate yourself from friends and allies. There are lots of skins to find and unlock, and you're even given an exclusive one if you have a original Borderlands save on your console. 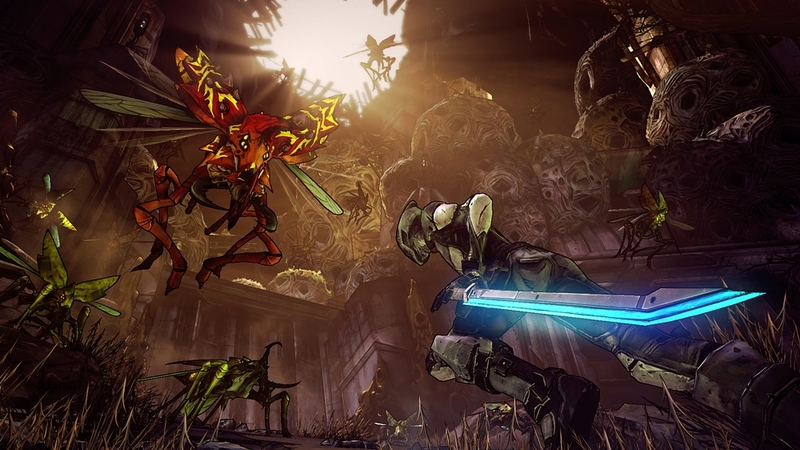 Borderlands 2 is more of what you would want to a follow-up game, and in the end it gives you much more than expected. There's a ton of things to see and do, and the writing and characters make it more enjoyable to play than the first game. You'll get a ton of bang for your buck with this title. It's currently up their for best co-op game this year in my own opinion. If you can, definitely buy Borderlands 2! "A new era of shoot and loot is about to begin. Play as one of four new vault hunters facing off against a massive new world of creatures, psychos and the evil mastermind, Handsome Jack. Make new friends, arm them with a bazillion weapons and fight alongside them in 4 player co-op or split-screen on a relentless quest for revenge and redemption across the undiscovered and unpredictable living planet."